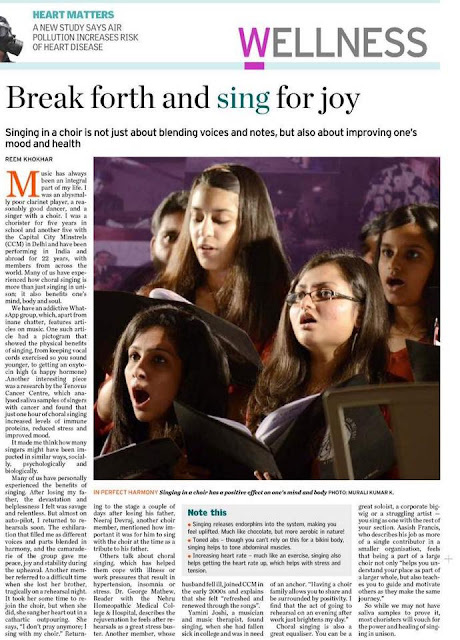 A slightly edited version of this piece was published by The Hindu on March 7, 2018. You can read the article here. Walking into Parmarth Niketan is a welcome respite from the narrow, crowded lanes around the area. Shops packed with trinkets and jewellery, cafés and spiritual bookshops jostle for space. Opposite the soaring white statue of Shiva on the ghats is a large arch welcoming visitors to the ashram. It is abuzz with activity – yellow clad rishikumars (male students at the ashram); mix with white kurta’d sevaks; and a riot of international visitors. A smattering of Mandarin floats from one corner; while another group chats in Portuguese; a blend of British, American, Australian, Italian, Indian and several other accents fill the air. 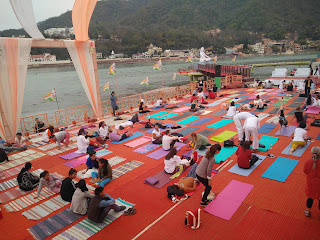 This is the 29th International Yoga Festival, held annually in Rishikesh. Parmarth Niketan is the largest ashram in Rishikesh and has played host to the festival since 1999 at its sprawling complex overlooking the Ganga. The event has grown from a handful of participants who stayed in neighbouring hotels to attend classes and programs under a couple of yogacharyas, to approximately 2000 attendees from over 100 countries, and over a dozen yogacharyas from around the globe. 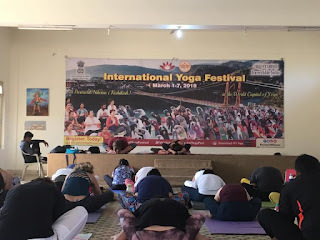 understanding of the numerous forms of yoga, going for the festival with little idea of what to expect can be a good thing. Top knots, flowing skirts and trendy printed yoga pants, intersperse with serene hued kurtas, tattooed forearms, and beaming and peaceful expressions. Your newcomer status may be betrayed by a knitted brow, fatigue from waking up for an early morning flight to travel here, and confusion around finding your way around the ashram. But after checking in to the basic and clean rooms, slipping into yoga pants, flip flops and tucking a mat under your arm helps set the comfortable mood for the rest of the week. chatter and speak with a few other participants as they rave about their favourite teachers. There are no specific classes for different levels of expertise, no one forces you to do anything, but you are always encouraged to try your best and not just sit around if you are unable to grasp a particular asana or process being described. You may be a seasoned and lithe yogi, or a novice, but each class comes with its own set of challenges and it is inspiring to see people from around the world who have a dazzling depth of knowledge, skill and devotion to yoga. The Kundalini yoga classes are packed to the brim with popular yogacharyas like Gurmukh Kaur Khalsa, and husband-wife duo Tommy Rosen and Kia Miller. For the uninitiated, Kundalini yoga is focused on awakening the energy at the base of your spine, coiled like a dormant serpent. This energy when stimulated, travels upwards through the chakras and gets distributed through the body. Kia Miller’s class does not have particularly difficult asanas, but what is challenging is the length of time spent on repetitions or holding each asana. Many of the physical postures are aimed at activating the navel, like repeatedly twirling your waist and pelvis while seated. Kia’s positive beaming spirit keeps everyone motivated, arms pumping energetically in circles, aided with music to help with rhythm, and shouting “yes” or whooping to help encourage others and oneself to push on. Jules Febre is a Jivamukti yogacharya and is also known for his hip hop asana classes where he incorporates the popular dancing style with yoga. 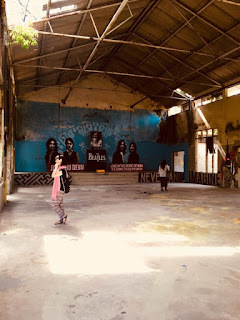 Though he did not do a hip hop asana class at the festival, a Jivamukti yoga session with him is a rigorous physical workout interspersed with chanting, music and Jules’ easy and humorous style. Your limbs may be begging for a break, but Jules keeps you chuckling while trying to plank on your fingertips or attempting to balance on your forearms while lifting off the ground. He takes a playful dig at the class for putting on a “spiritual face” when asked to close one’s eyes, everyone adjusting facial expressions into fervent concentration and a beatific smile. It’s an energetic, and thought provoking session, with Jules making one think about how we contribute to the energy and wellbeing of others with our words, thoughts and actions. There are several other notable sessions like the Happy Hips class by Francesca Cassia that illustrates positions to help make the hips more flexible, working up to more advanced positions. It’s strenuous, but you do leave the class with the satisfaction that only sore, but pleasantly tingling muscles evoke. A chat and session with Krishnamurthy Mohan Raj are well worth the time. 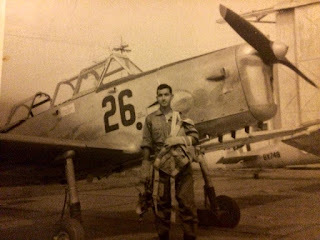 He runs a yoga centre in China, speaks fluent Mandarin and his early morning vinyasa yoga class was a buildup of asanas to get to the grand finale of hanumanasana, or the full split. No worries if you only make it halfway, all he asks is that you try your best. Between the more physically strenuous asana classes, you can pick from various sessions on meditation, chanting, nutrition, aura cleansing and more. The meditation session, like the one with Laura Plumb on learning to meditate like the Beatles is interesting, but as challenging as the physical classes. Calming one’s unruly mind cannot be taught in an hour, but like many of the other yogacharyas, Laura is happy to meet after class with those who are interested in knowing more about transcendental meditation and reaching pure awareness. 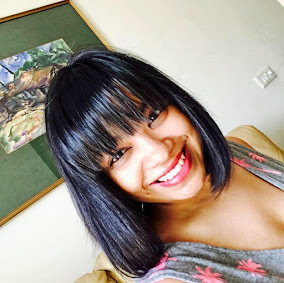 Rujuta Diwakar’s session on nutrition is informative and it’s no wonder that her simple and appealing approach to eating and lifestyle choices has everyone flocking to follow her advice. The evening aarti at the ghats is held at sunset every day, presided over by the head of the ashram, Pujya Swami Chidanand Saraswatiji, and Director of the festival, Sadhvi Bhagawati Saraswatiji. It is a magnetic setting, sitting along the ghats with the Ganga flowing alongside, listening to the chanting and singing while the sun dips under the horizon. 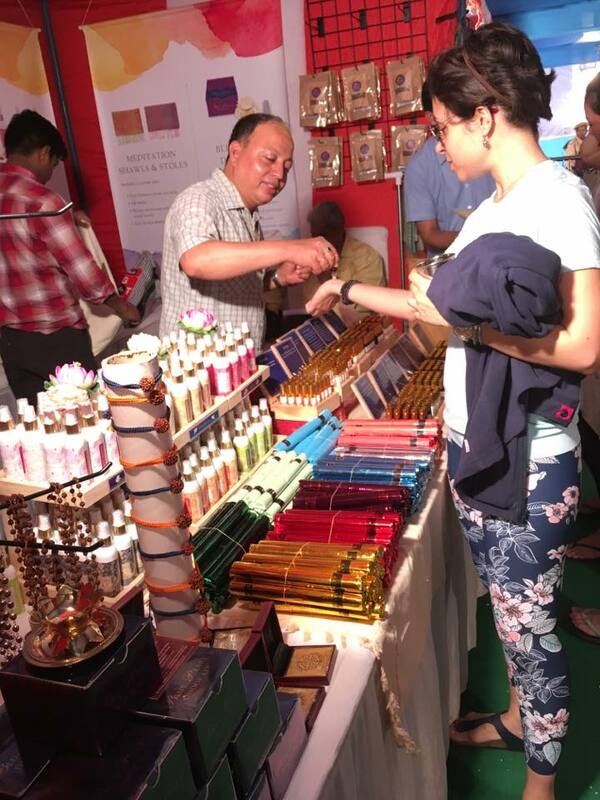 There is an exhibition shopping area which you will probably leave laden with vests saying ‘Namas’slay; a yoga mat made of eco-friendly materials; therapeutic jewellery of lapis lazuli, onyx or amethyst; and reeking of lemongrass, mogra and a range of other fragrances. 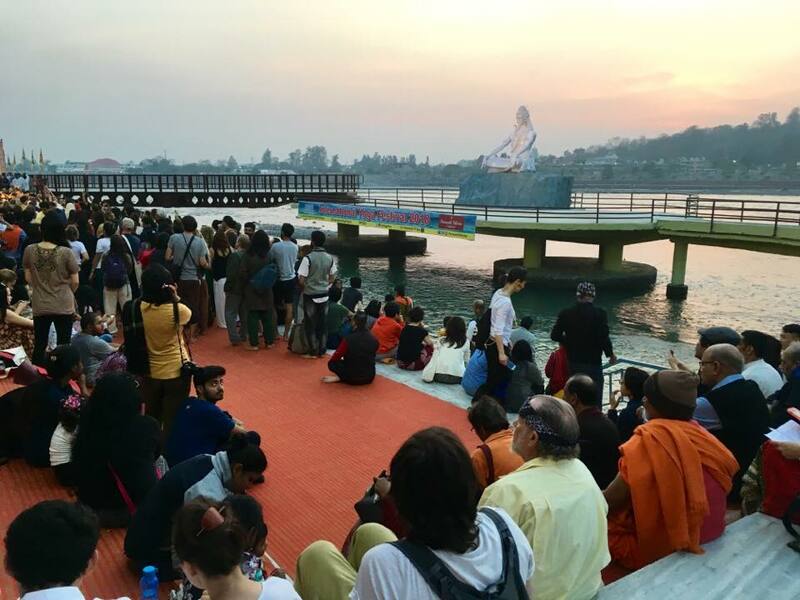 The post dinner schedule is filled with performances including popular artists like Kailash Kher and Sivamani; sacred music by a group of Japanese musicians; ecstatic Sufi whirling and meditation by Turkish yoga teacher Mert Güler, theatrical performances by the ashram’s rishikumars, and several other artists. one of the most visited areas, covered in graffiti and floor-to-ceiling murals of the Fab 4, completed recently by street art artist Artxpan. 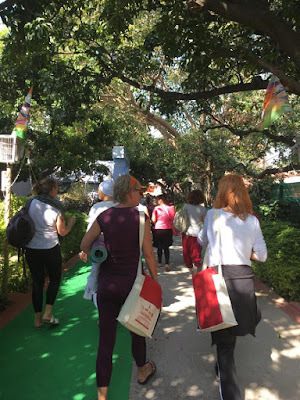 Whether spending a few days or the entire week at the yoga festival, it is difficult to not be drawn in Go with an open mind ready to learn, meet lots of interesting people and be challenged physically and mentally. You will also realize that yoga pants and flip flops are dangerously addictive, and possibly experience some withdrawal symptoms on your return. 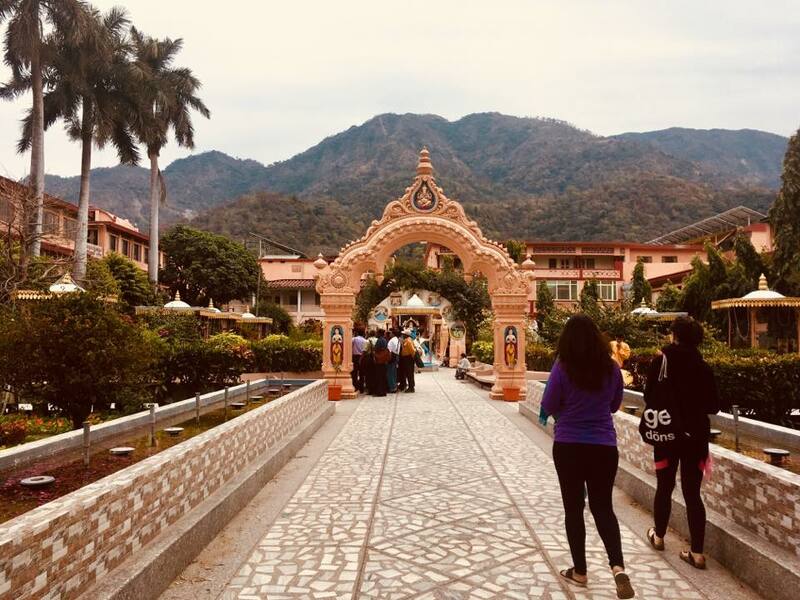 by the joy and enthusiasm around, and understand why several of the participants come each year for the engrossing classes, yogacharyas and the powerful setting. Registrations for week and day passes for Indian and international participants can be made through the festival website – www.internationalyogafestival.com. The week pass includes accommodation at the ashram (if available); all meals and all the sessions. There is separate pricing for Indian citizens and international visitors. 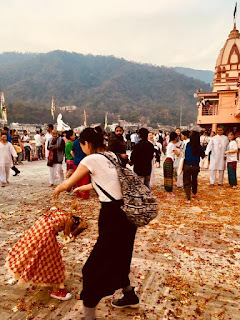 Rishikesh can be reached via air by flying to Dehradun, followed by a 1 hour taxi ride up to Parmarth Niketan. Several trains run between Delhi to Haridwar, 25 kms away, from where a taxi can be taken to Rishikesh.